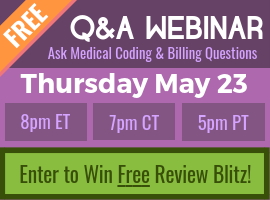 A: This was a question that I find actually a number of people run in to pretty frequently in ICD-10. The reason that the person probably received this error had nothing to do with the programming and the claims scrubbing medical record, which is the question that they had. What you actually find in ICD-10 is that for body mass index, when a patient is considered an adult is not until the age of 21. 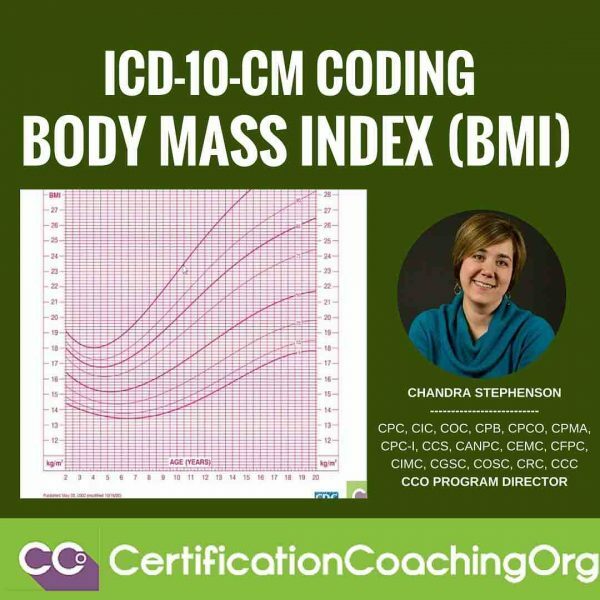 They have to be 21 or older to be considered an adult in ICD-10-CM for body mass index. That’s different than what we’ve been taught in many other areas, most of the time we think 18 is an adult. That’s true except for body mass index for these cases. What the ICD-10 manual actually says is if the patient is between the ages of 2-20, you have to use the pediatric codes for body mass index. 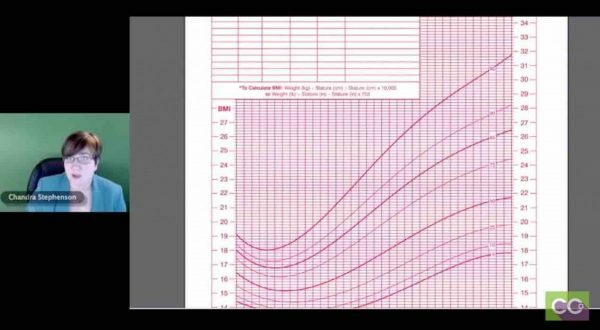 The difference between the adult codes and the children codes, the adult codes you select what range the patient’s body mass index is in. For the child codes, you’re selecting what percentage of a growth chart that body mass index is in. Most of us are going, “What a minute, what if our physician didn’t use our growth chart because this patient is 20 years old?” You can find one because the guidelines clearly state it’s based on the growth chart from the CDC (Centers for Disease Control). Alicia, can you click that link for me? What I did was I included the link here in my answer sheet that will take you directly to the growth chart from the CDC’s website. There are two different growth charts, they give you one for boys and one for girls… I included the girls’ charts because I wanted to take a look at one of them when they open up, so you can see where you find this information. Down towards the bottom of the page is where you’re going to find the links for the different growth charts. I see it says boys and girls. What we want to do is we want to pull up one of those, length for age, weight for age files so you can open the top one where it says black and white or you can open the colored one, whatever you prefer. The colored one is blue for a boy and red for a girl. Chandra: Yeah. But there is one on their site where it actually shows your body mass index. Let me send you this link because I don’t know where it’s coming from. Actually, I can just post it in the chat. Boyd: Yeah, go for that. Chandra: The one that I’m going to post is for the boys. What it is, is it’s the actual growth chart that includes the body mass index measurements and it may be on this page, Alicia, if you just scroll down farther, because I just search for it, I just do a Google search. There you go: Girls BMI for age. Click on that one. This is what we want to look for. When we plot the body mass index, because oftentimes for those adult patients, the ones we think should be adults – 19, 20 year olds – the provider is going to write down what their body mass index is or their height-weight ratio and we can determine the BMI. All you have to do is look here to see where do they fall because these little pink lines, the squiggly ones, you’ll notice that top one says 95, the one below it says 90, the one below is 85, those are the percentiles where they fall in that percentile growth chart. When you look at the body mass index codes for children, which go up to age 20, you have to know what percentage of the growth chart they fall in. In this case, if they had a body mass index of 32, they would be in the 95th, in or above the 95th percentile for height and weight for their age and gender. That’s what you have to know to select the correct codes. I included an example here, and let’s talk through this. This is an example and this is actually another one of the questions off of the pre-employment exam that’s coming for risk adjustment. This is one that I used to get a lot when I worked in the risk adjustment hiring of coders environment. This was one that we would give to new coders to see if they understood the difference between the two. This is a 20-year old morbidly obese patient who has a body mass index of 43.2. We do know that we have to have two codes, hopefully, if you’ve looked at the guidelines for obesity. You’ve got to code the first code for the morbid obesity, the E66.01, which does default to morbid obesity due to excess calorie intake and that’s straight from the Index and the Tabular will verify that that’s the correct code. It then says underneath that code use additional code to identify the patient’s body mass index. Well, this is a 20-year old, they fall into the children’s codes. We don’t know their height, we don’t know their weight, we don’t even know their gender. All we know is their body mass index. We can still code this one and the reason we can still code this one, if we were to look at those growth charts again. This patient’s body mass index was 43- something. The highest level code that we have, options for BMI is 95th percentile or above. They’re there as soon as they hit 32, this patient is 43. This is just the girls’ one. If you go look at the boys, you’re actually going to find it’s a little higher BMI, but 43 is still well above the 95th percentile, so we’re able to know it doesn’t matter the gender they’re going to be in that 95th percentile or higher code, which if you go back to my answer sheet is I believe it’s Z68.54. That’s why we can go ahead and use that code. We don’t have to know their gender, everything we need is right there in that answer. I did want to point out, I’ve had a number of people ask me: “For BMI, can’t those ever go first?” No. A BMI code, that Z68 should never be your primary, your first-listed diagnosis code. Those codes are considered supplemental or informational and they’re intended to be used as additional codes to further clarify how severe the obesity or the overweight primary diagnosis code. Just to wrap-up, when you’re looking a body mass index, remember if the patient is between the ages of 2-20 they’re considered a child and you have to use the percentile on the growth chart and have access to those CDC Growth Charts. They’re not an adult until they’re age 21, where you can actually just pick the BMI range that they fall into. Alicia: Very exciting. It makes perfect sense why this would be on a pre-employment exam. Hi Maria – I suggest we do a consultation call – you can get on me or Alicia’s schedule via http://cco.us/support and we can help give you some direction and get you going again.